Today I'm delighted to feature a guest post by Katie Porter about Spanish language films. 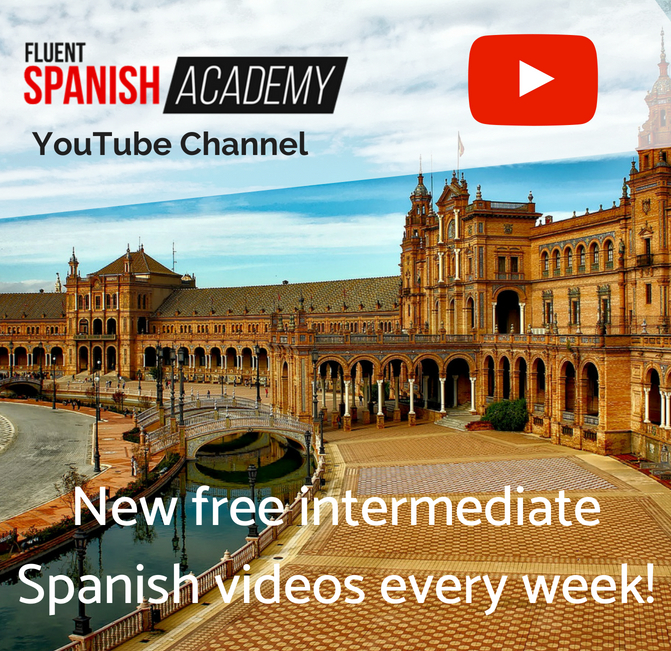 If you're learning Spanish and you've reached the intermediate level, then starting to watch films in Spanish can be a fun way to complement your learning. 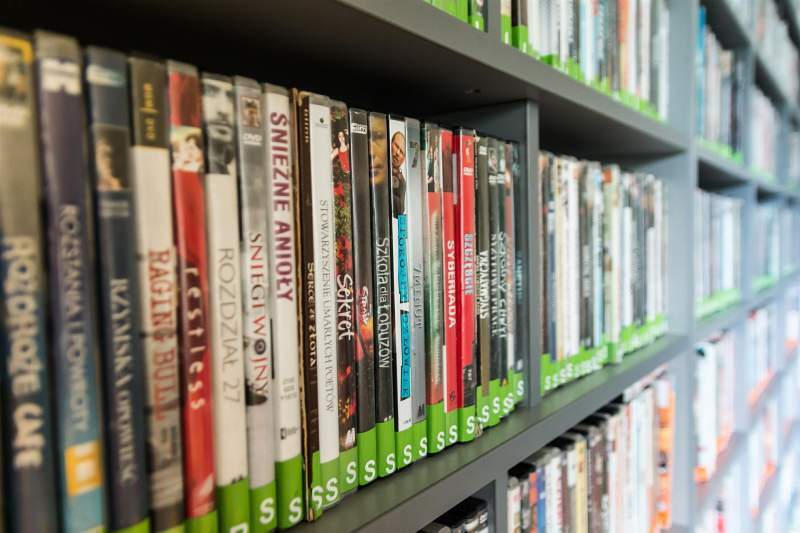 In this post, Katie will give you a few tips on how to choose which films to watch as a learner, as well as recommending some of her own personal favourites! One of the most fun and exciting way to learn a new language is through the medium of cinema. Not only are films more entertaining than traditional language-learning methods but they also allow you to develop thoughts and ideas about culture and context too, instead of just focusing on the language in isolation. How Can Movies Help You To Learn Spanish? Learning Spanish from movies as an intermediate learner has a lot of benefits. You get an overall experience of not just the language but also the cultural aspect of Spanish. This allows you to get used to the rhythm and sound of real language and put them into context from the scene and surroundings. Movies keep you engrossed and captivated by the story. In order for you to understand the story, you need to make sure you pay full attention to the words and understand what’s happening. The plot of the movie will keep you motivated to actually pay more attention and put in that little extra effort to learn the language. The movie you select in Spanish also plays a vital role in how much you learn. You need to select a movie that not only keeps your attention but takes you on a journey. The more of an emotional connection you have with the movie the more you will put in that extra effort and actually learn Spanish as you watch the movie. Another good option is to watch a movie you have already seen in English dubbed in Spanish. This is an especially good option for lower intermediate level learners who are not yet ready for a full-fledged adult film. Watching dubbed movies you’ve already seen in English will allow you to follow the story while also introducing you to new vocabulary and structures in Spanish. If you happen to know a lot of the dialogue already in English, then you can even translate it in your head as the actors speak in Spanish which can be helpful in picking up a lot of the words. However, for upper intermediate and advanced level learners, watching completely new movies in Spanish is probably a more suitable and fun exercise. At this level, you already have an extensive knowledge of the language and its vocabulary so you can truly understand the movie. The challenge becomes adapting to different accents, learning new slang words and adjusting to the speed of native level conversation. When selecting a movie, make sure you select the movie based on your level of Spanish. As a beginner, it’s best not to start off with a movie that uses too many complex words or complicated themes. Trying something too hard may completely put you off the experience and demotivate you. Start with animated movies or movies that are targeted towards children. The language in these movies is generally easier to understand and conversations are not too tough to follow. Build up towards more difficult films from there. Later, as an intermediate or advanced learner, you can take on movies that are more complex in terms of dialogue. Go into the experience with an open mind and don’t put too much pressure on yourself. You can’t expect to understand every single word you hear. Instead, focus on trying to get the gist of the story and follow along. Allow your mind to fill in the gaps in your comprehension from the context. Don’t pause the movie every time you hear a word you don’t understand to look it up. This defeats the whole purpose of watching the movie to experience the language in a natural way! However, when you hear a word or phrase you feel is particularly important for your learning, write it down and you can look it up afterwards. Ok, ready to get started? Here's a list of some of my favourite Spanish language films that are perfect for intermediate and advanced learners! Spanish movies are best suited to intermediate and advanced learners who will be able to understand and benefit from them. If that’s you, then why not check out some of the following films? These movies are sure to keep you glued to their seat, eager to watch more and learn more Spanish too! 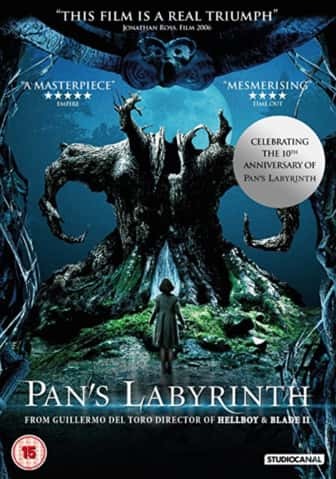 El Laberinto Del Fauno is a dark fantasy film directed by the legendary Mexican director Guillermo del Toro. It tells the story of a young girl, the stepdaughter of a fascist army officer, who finds herself transported to a dark and mysterious yet enchanting world. It is chilling but provides a shocking glimpse into Spanish history – it truly is a must watch. This one’s worth the time and effort because with a 95% rating on Rotten Tomatoes and an 8.2 on IMDB, there aren’t many better films in the dark fantasy genre, which del Toro somewhat created! 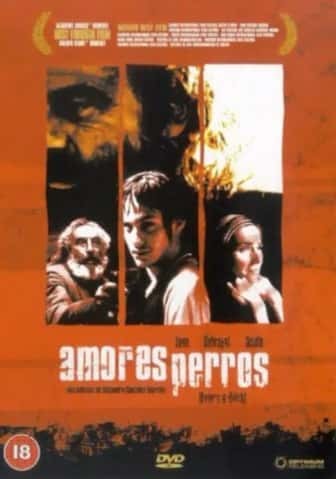 Amores Perros is Alejandro González Iñárritu’s directorial debut and focuses on three stories all linked by the same horrific car crash. Iñárritu would later go on to win Best Director Oscars for both Birdman and The Revenant. This is one of the most compelling Spanish-language thrillers of all time and was nominated for an Oscar for the Best Foreign Language Film. It also proves a valuable insight into Iñárritu’s early cinematic style, allowing the film buffs among you to compare it to his current approach. The movie was made in Mexico, so it gives you a chance to get more accustomed to the Mexican dialect. Abre Los Ojos is a romantic drama starring Eduardo Noriega and Penélope Cruz. It was directed by Alejandro Amenábar and centres on a handsome man who suffers a facial disfigurement in a horrible accident and deals with it alongside the love of his life. It won one won a Best Picture award at the Tokyo Film Festival and is very popular because of its emotional yet compelling story. The dialogue in this films is excellent, so it will allow you to better understand how the Spanish language works in real-life conversations. Made in Spain, it will also help you practise understanding Iberian Spanish, as spoken in Spain. Y Tu Mamá Tambien is a 2001 film directed by Alfonso Cuarón, who would later go on to win an Academy Award for Best Director for his work on Gravity (2013). Cuarón was the first Mexican to win the Oscar for Best Director and Y Tu Mamá También was one of his early works. It’s a raunchy comedy about two teenage boys who go on a road trip with an older woman. It was nominated for an Academy Award for Best Writing in an Original Screenplay and is a genuinely gripping yet hilarious movie. This is another Mexican film which makes it an ideal choice if you want to get used to Mexican slang and pronunciation. Hable con ella is a film directed by legendary Spanish filmmaker Pedro Almodóvar, and starring musician Rosario Flores. It is about two men looking after two other men who have suffered comas, and the friendship that forms between them. It won an Academy Award for Best Writing in an Original Screenplay and is a heart-warming mystery that packs a punch. This s film is great for learners because it allows you to develop a better understanding of different niche topics in the language. Hable con ella is another movie made in Spain, so if you’re learning Iberian Spanish, it’s a great option. 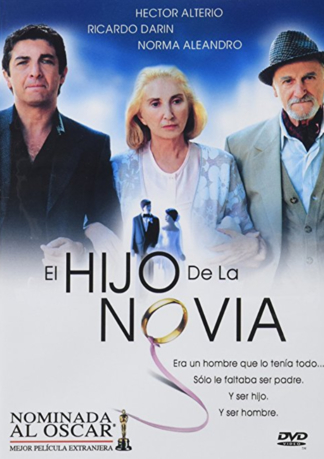 El hijo de la novia is a 2001 comedic drama starring Ricardo Darín, Héctor Alterio and Norma Aleandro. It focuses on the main character, Rafael, who suffers a mid-life crisis and, after a minor heart attack, is reunited with a boyhood friend who helps him to get his life back together again. This one is as funny as it is emotional and was nominated for an Academy Award for Best Foreign Language film. El hijo de la novia is an Argentine film which will allow you to get used to the distinct Argentine accent and the interesting way they pronounce the Spanish ‘ll' sound. Another classic from Argentina, El secreto de sus ojos is a romantic mystery film from the same director as El hijo de la novia, and also stars Ricardo Darín. It tells the story of a former legal counsellor who is still in love with his ex-boss and is haunted by an unresolved case from his past. It is a truly gripping film which will give you an insight into some of the more complex vocabulary in the Spanish language. So there you have it – 7 must watch Spanish movies from around the world for intermediate Spanish learners! You should be able to easily find most of these movies on Netflix and Amazon Prime. Both of those streaming applications have a wide variety of movies and tv shows in Spanish so don’t just stop with these movies – look for others that interest you too! Remember, while movies are a great way to pick up on a language, you can’t expect yourself to be an expert in a language from just watching movies. Movies serve as an aid to the learning experience but can’t be your only resource. You also need to read, speak and actually apply what you learn if you want to learn Spanish fast, which you can’t really do with a movie. However, movies can be an effective tool to help you pick up new words, get used to different accents, and improve your listening skills. Besides, they’re enjoyable and that further enhances your learning experience. So get the popcorn ready and ¡disfrútalos!